What do you think of the changes? The Boston Bruins will be in action for the second straight night on Wednesday, but it did not prevent head coach Bruce Cassidy from making changes to his lineup despite yesterday's 3-1 win over the New York Islanders. Cassidy is mixing things up for tonight's contest against the New York Rangers as the Bruins are looking to gain ground in the Atlantic Division. The Bruins will be reintroducing Danton Heinen into the lineup as veteran David Backes is slated to be a healthy scratch. Jaroslav Halak will stand in between the pipes as Tuukka Rask was last night's starter against the Isles. Cassidy did not mention any other lineup changes for the tilt against the Rangers. 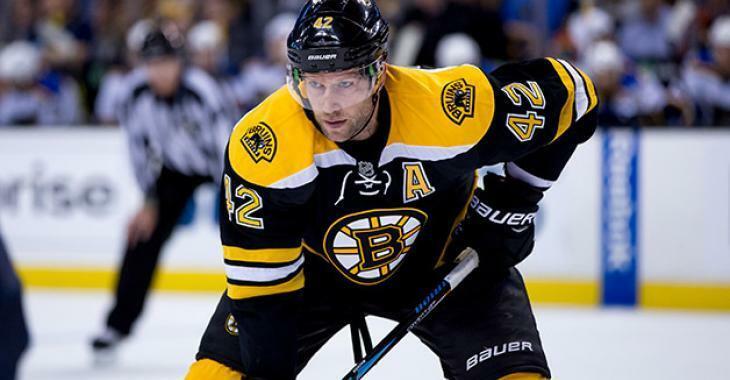 Through 44 games this season, Backes has posted just five goals and 13 points to go along with a minus-four rating. While the 34-year-old veteran brings leadership and a physical presence to the roster, his production hasn't been in line with his annual $6 million salary cap hit. However, he will need to get things going ahead of the Bruins' playoff run. As for Heinen, he has been disappointing so far this season and needs to make the best out of this new opportunity. The 23-year-old has tallied six goals and 13 points in 49 games this season after he had 47 points in 77 games last season. He has one goal in his past seven games and has been a healthy scratch the past two games. The Bruins are said to be in the market for help up front, but it remains to be seen what GM Don Sweeney will be willing to spend to get the offensive boost he seeks.